It’s a philosophy we strongly believe in, and for good reason. Everything we do is for our customers. We want to make sure they are getting real value out of our product and feel like they have a strong support system backing them up. At the end of the day, unhappy customers won’t be advocates for your product or service and they won’t stick around for the long-run, which is no bueno for business. That’s why we are constantly monitoring customer satisfaction and why we recommend it as a smart business practice for all MSPs. Customer Satisfaction is a measure of the degree to which a product or service meets the customer’s expectations. CSAT scores tell a company a lot about how they are doing. These numbers provide insight into operational efficiency, customer’s concerns, and strengths. Peter Drucker famously said, “What gets measured gets managed”, a quote that most definitely applies to customer satisfaction. If you’re not checking in with your customers to get feedback, how can you ever improve upon your offerings? Your customers are the people who are using your product or service day in and day out. They are rightfully going to be critical of what you offer because their assessment will be based on how helpful or not your product or service was to them. Most likely, your organization’s mission is to help your customer in some way, and a CSAT score is a very telling way to figure out if you’re doing that. At first thought, it seems that CSAT scores are solely reserved for the service industry. This is a CSAT prompt that allows customers to leave a really quick review about the service they were just provided. Of course, this can apply to your service desk also. After closing a support ticket, a user may be cued to review their experience in order to provide your techs with insight. It’s really important to track CSAT at this level. Oftentimes, your support techs will be the first line of communication with customers, so it’s critical to keep this team in check. Not only do you need to ensure they are acting friendly and professionally, but you need to know whether their responses are adequate enough. Is the customer satisfied? Is the customer’s concern being addressed with the least amount of friction possible? Is your customer given advice about how to troubleshoot an issue like this in the future? Paying close attention to CSAT scores in this department will just make your support team that much stronger over time. And trust us, customers notice an all-star support team. When you’ve got an all-star team, people start talking, and word-of-mouth can become your best friend. But CSAT doesn’t have to live and die with your support or service team. CSAT can relate to how a customer feels about your actual product. Surveys related to your product can help you understand and prioritize what needs to be upgraded and improved upon, or what features are missing from your stack. Feedback from CSAT surveys can also shed light on the user’s experience: is your product easy to use and navigate? Is there a learning curve or onboarding period? Do the benefits of the product outweigh the cost? It may seem like such a simple, black and white score (i.e., positive or negative), but if you dig deep into your CSAT reactions, you can uncover pretty powerful insights that can push you towards success. 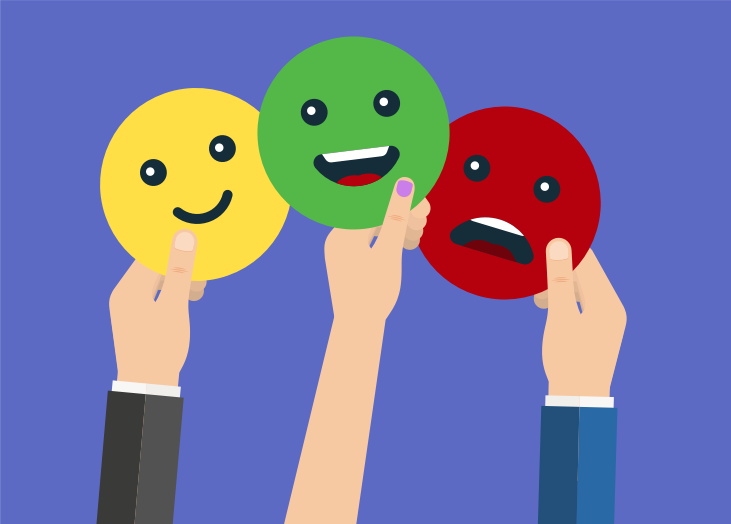 BrightGauge currently integrates with Customer Thermometer, CrewHu, and SmileBack, 3 tools that help you gather CSAT reactions. By connecting to any of these tools, a BrightGauge dashboard will aggregate your CSAT metrics and display it in a single pane of glass. You might look at CSAT scores for the last 30 days for your entire company. Or, you might break down the scores per technician to determine whether any of your employees might benefit from additional training. You can have a gauge that totals all of your positive reactions or averages your CSAT scores across the board. You can even set gauge thresholds to change color and ring an alarm when your scores fall below a specified point, so that you can take immediate action to course correct. Having a CSAT dashboard on display for all employees to see is a really motivating way to get your team members focused and to make every effort to put customers first. In sum, CSAT scores can speak volumes about your product, service, and team. As an MSP, you’re definitely going to want to keep a pulse on CSAT at all times because it’s only going to benefit you in the end. Turning customers into loyal clients. Deciphering what helps your customers feel satisfied means you can reduce churn, which is huge for any MSP. Figuring out which customers are a perfect match. Not every customer is going to be the right customer for you, and through CSAT, you can identify those that are a match and those who are going to be too noisy. Identifying areas that need improvement. Feedback from CSAT surveys will tell you what you’re doing right, what you could be doing better, and what new features you need to offer. Gaining promoters of your brand. Satisfied customers will let their friends, peers, colleagues, social followers, etc. know and word-of-mouth is awesome for any MSP! Want to start gathering CSAT reactions but aren’t sure where to start? Download our free whitepaper Customer Satisfaction Surveys That Work.